Few topics engage the industry and its stakeholders at all levels in the way that improving air quality does. It seems the public at large and many politicians too do not appreciate the lengths or the expense that manufacturers and operators have gone to in order to comply with the various euro emission levels, and yet there is still a way to go before our cities have air quality we can be confident will not create health issues for the people living in them. 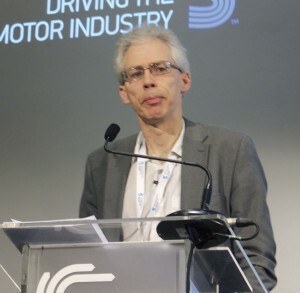 Addressing this, the SMMT (Society of Motor Manufacturers and Traders) held a conference last week at the ME London Hotel on the Strand, entitled Improving Air Quality: the commercial vehicle contribution. Welcoming delegates and setting the scene was broadcast journalist, Ginny Buckley, who marshalled proceedings with an assured touch throughout, handing over to Mike Hawes, Chief Executive of SMMT, to consider ‘Air Quality and Commercial Vehicles.’ Mike said that there were a lot of cities exceeding the air quality levels which was a European issue. Whereas once all of the attention had been on particulates, it was now turning to NOx, which had already been reduced by 50% since 1990. It was a complex problem, requiring a lot of stakeholders to address, that touched on public health, public finances, vehicle standards, industry standards and business and domestic users. 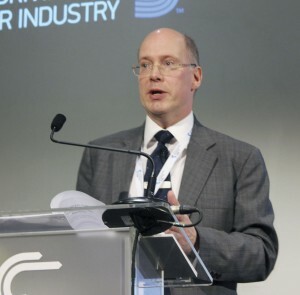 Emissions impacting on air quality came from a number of sources but for the purposes of the conference the focus was on one source, road transport centring on commercial vehicles including buses, trucks and vans. 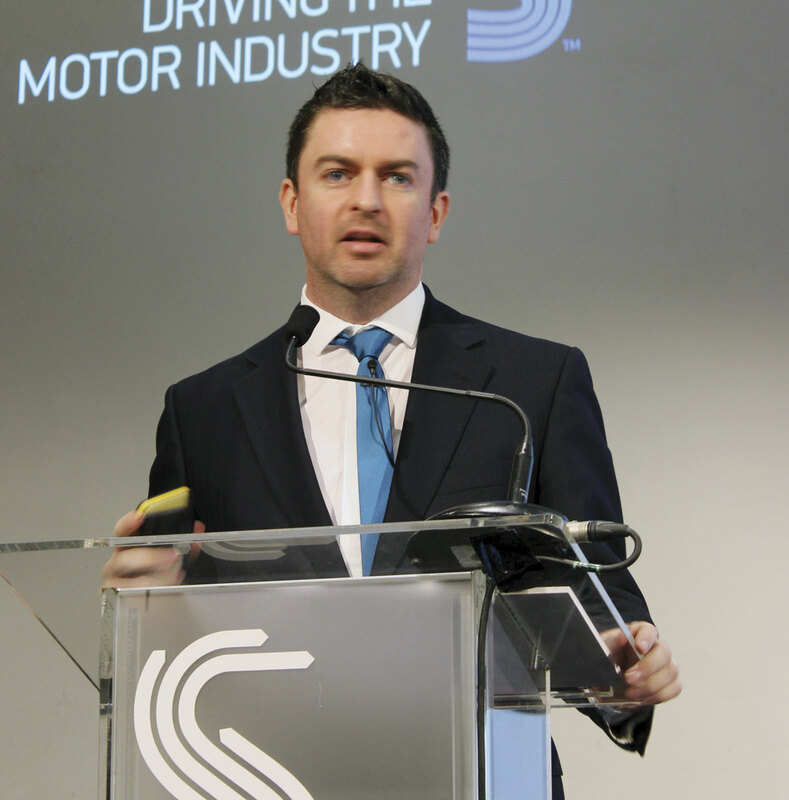 His message was that the industry had real world solutions that will deliver what is needed if we can get the policy framework right. 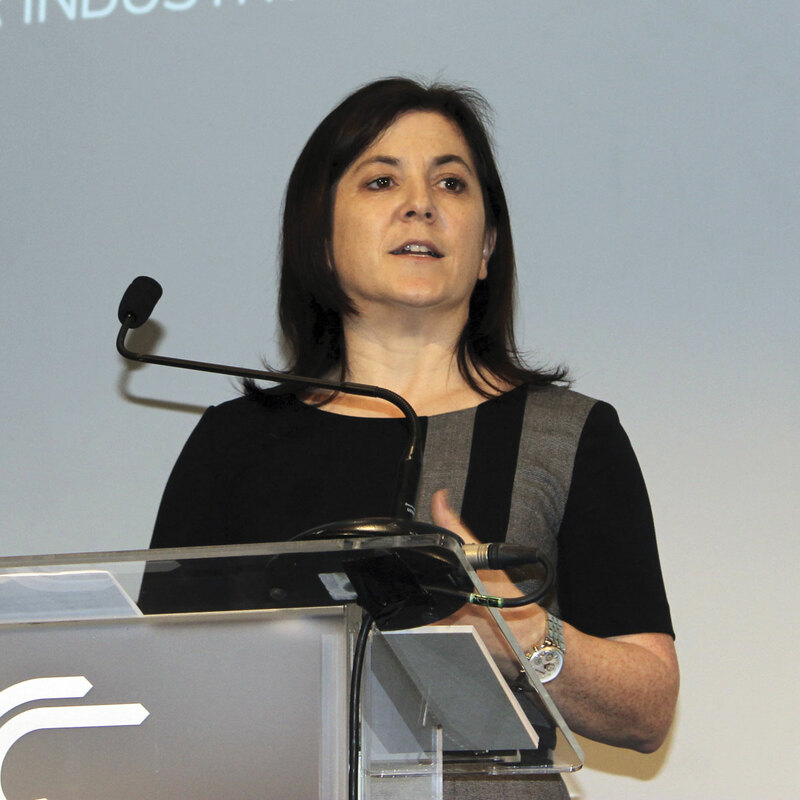 The first main business session of the day was an Air Quality Technology Showcase in which Penny Randall, SMMT CV Group Chair and Marketing Director of Renault Trucks UK gave an overview of some vehicle technology advances. 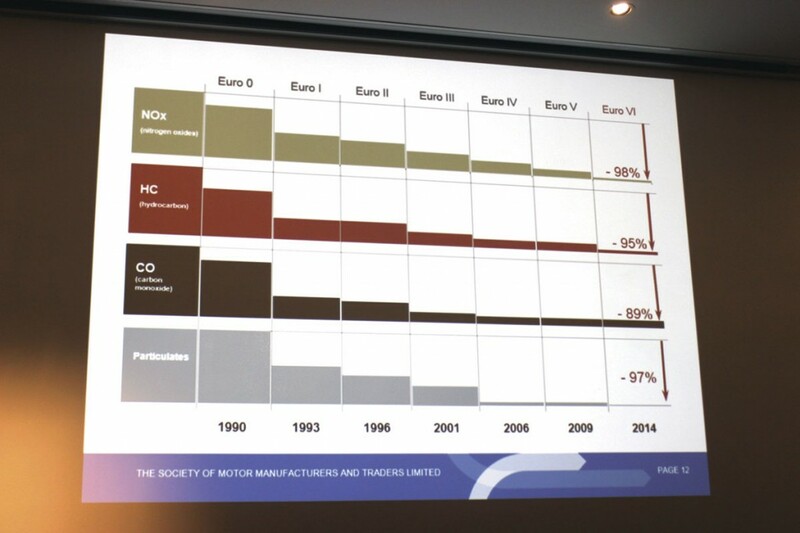 She put up a slide you may have seen before but one that warrants revisiting, showing that compared with Euro0 in 1990, the latest Euro6 engines emit 98% less NOx, 95% less HC (hydrocarbons), 89% less CO (carbon monoxide) and 97% less particulates. Not only that but truck engines now had to show that they maintained these levels for seven years or 700,000km. Tests conducted at Millbrook on the simulated 159 Brixton to Oxford St route showed that it took 85 Euro6 buses to generate the same amount of NOx that one Euro5 bus had generated. 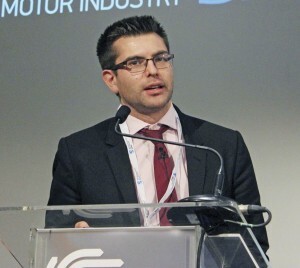 From September this year, light commercial vehicles would also have to meet Euro6 emissions. Alternative fuels were a part of the strategy but on truck the take up was very small because it just wasn’t viable. Gas, biofuels and electric drives could not solve the problem on their own, it would take a while. She pointed out that it had taken seven years for half of the car fleet to reach the level of Euro4 or above. 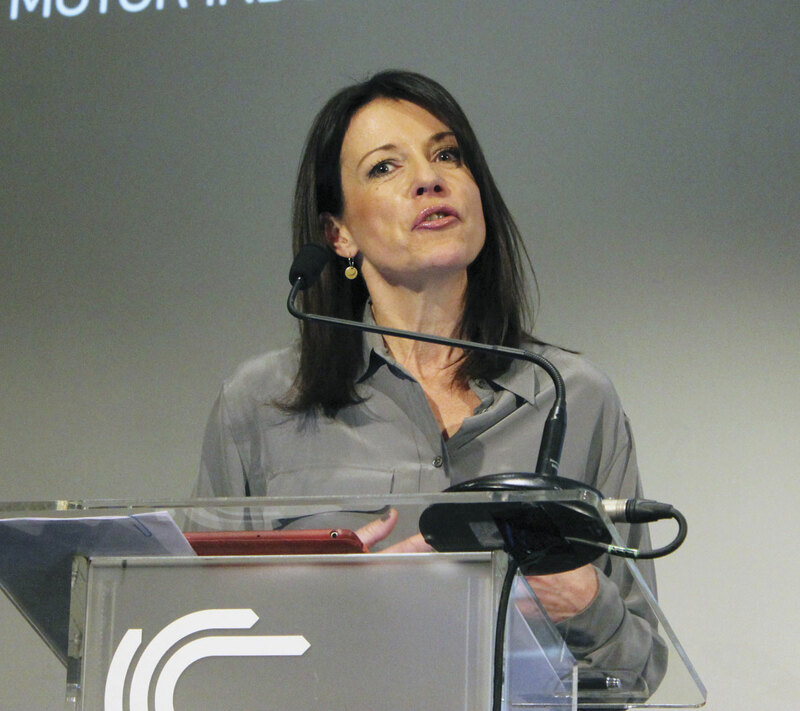 ‘It is time to stop demonising diesel and recognise it as part of the solution,’ she said. Along with the conference there were a small number of trade stands and following Penny’s presentation Ginny toured them interviewing those represented on clean air technology initiatives, among the Optare MD, Enrico Vassallo, who said that over a five year period, an investment in electric was better investment than diesel. Other manufacturers represented were Mercedes-Benz, Iveco, Ford and the carrier, DHL, which has developed a CNG powered concept truck idea with very low emissions and a number of safety features as well as a specialist Consolidation Centre in North London where loads can be put on one vehicle for the final leg of their journey. The day’s second main business session was on Air Quality Policy, attracting a formidable line up of speakers. Introducing them, it was pointed out that the timing for the debate was right with an election looming, Transport Scotland out to consultation and increasing pressure for action as urban populations grew. 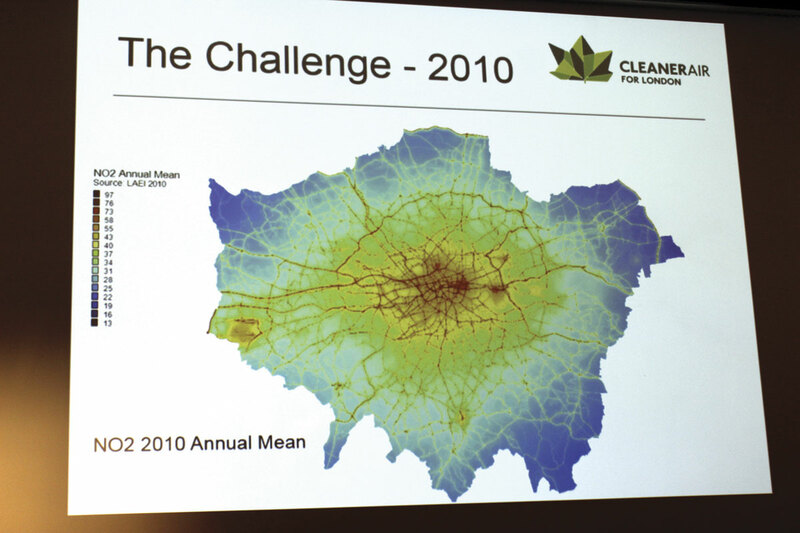 Elliot Treharne, Air Quality Manager, Greater London Authority, said that air pollution cost the UK £10.6bn annually, describing measures taken in London such as the Congestion Charge and the adoption of new technologies and highlighting the publication of the Transport Emission Road Map which included provisions for the ULEZ – Ultra Low Emission Zone. 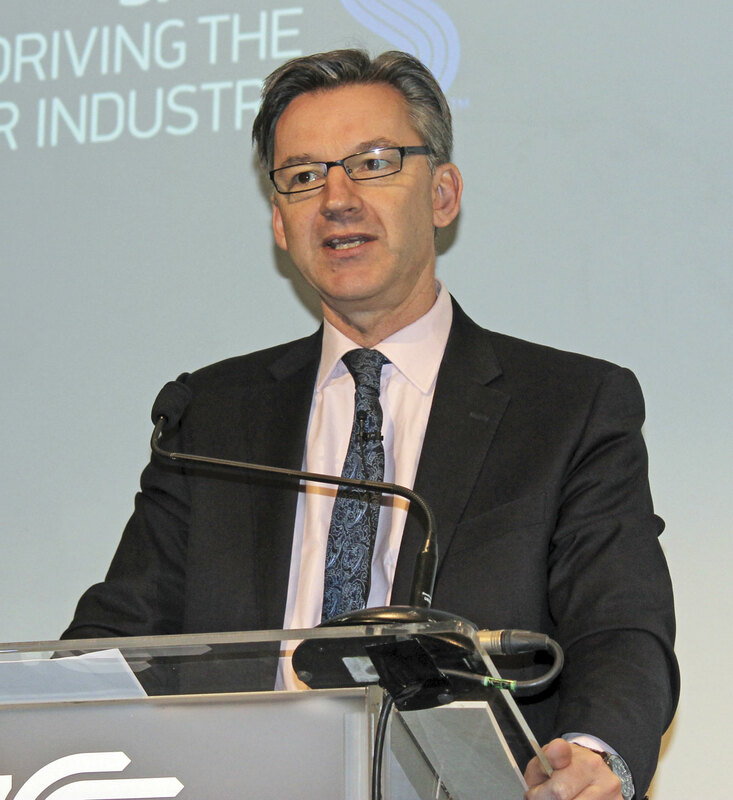 Stephen Thomson, Head of Environment and Sustainability, Transport Scotland, had just launched a new low emission strategy for Scotland (16 Jan) with a 12 week consultation period. This aimed to draw together existing policies and he hoped it would be published in the early summer. 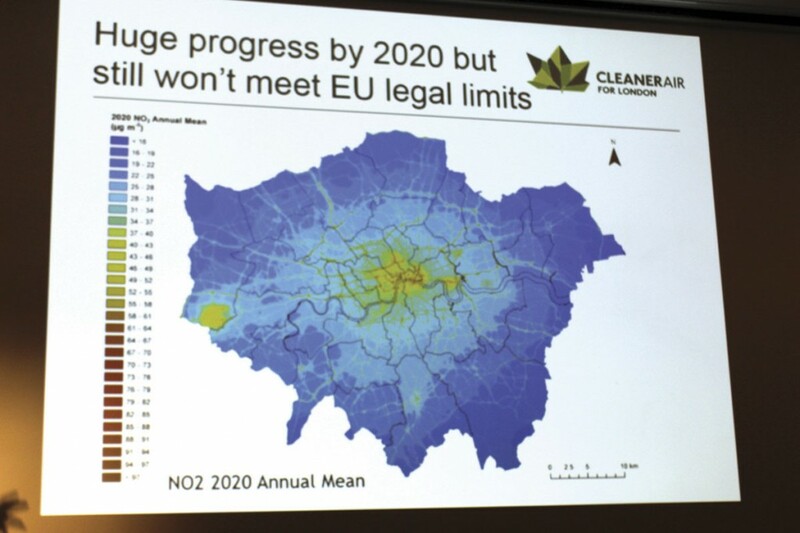 Two more proposals were a National Modelling Framework to provide a standard air quality assessment methodology and a Low Emission Zone Framework, setting out a procedure to determine whether an LEZ would be appropriate and effective in an area. The trouble with politicians making keynote speeches at the end of conferences they have not attended is that instead of helping to set the agenda they can appear completely detached from the thrust of the proceedings. After waiting in our seats for 20 or so minutes for him to arrive, I rather had the feeling that John Hayes had delivered a speech intended for another event as its relevance to the themes of the day was fleeting. 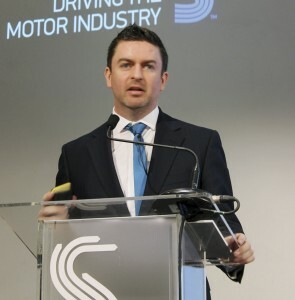 SMMT represents manufacturers and traders. The manufacturers have spent massive amounts of money achieving Euro6, a figure of over £0.5billion each being mentioned. 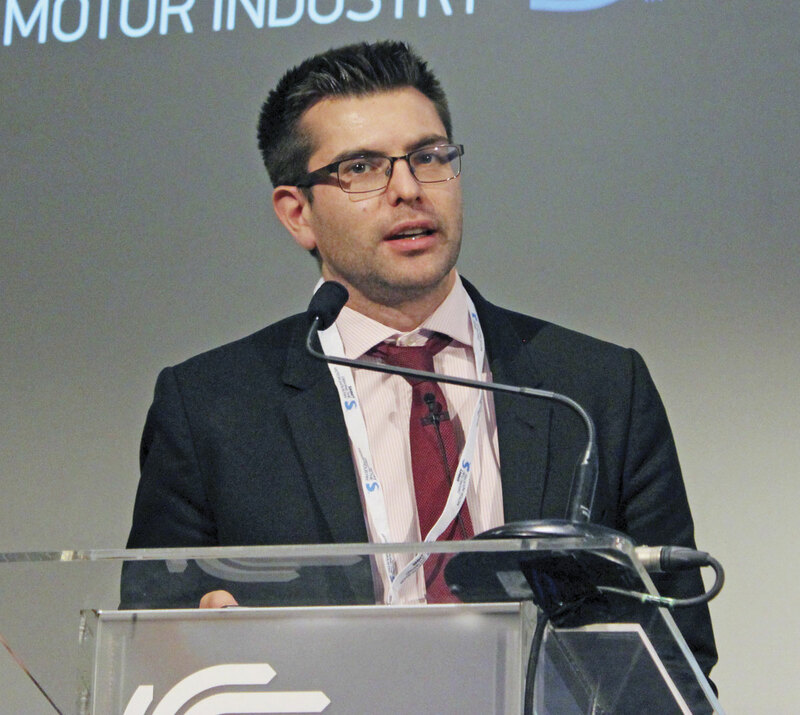 They need to see a return on that investment and there is no doubt that, particularly in the bus market, they have been disappointed in the take up of the latest technology with only 20% of buses registered last year having Euro6 units. It wants to see DfT close the existing loophole that enables pre Euro6 powered vehicles to be registered.